It’s a section of the tile that surrounded a fireplace, with the wall still attached to it. It was covered in silver paint, probably spray paint. I know from the real estate listing photos that it was the tile that complimented the fireplace mantel currently disassembled in my cellar (one of the three Killian Brothers mantels I brought home). 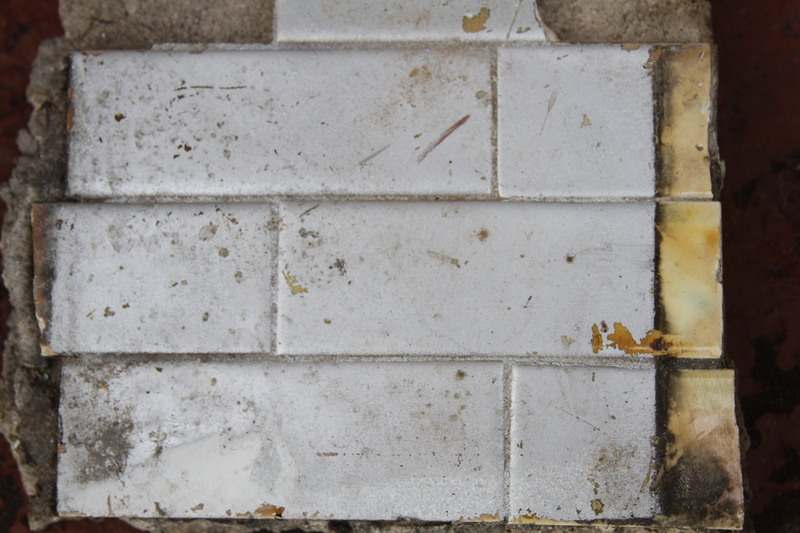 There was quite a bit of non-painted tile intact (not that it matters, because paint comes off tile quite easily). 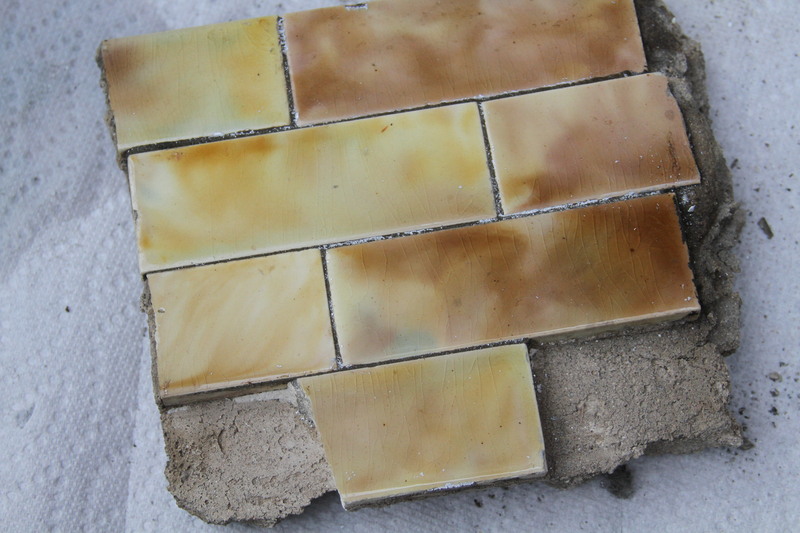 It’s the same style of tile of three of our fireplaces (parlor and garden), but it’s not an exact match: colors are similar, but it’s a much larger size. It’s also still attached to about an inch of cement. I have no idea what I’m going to do about that. I love love love love old tile. I have no use for it (due to the color/size discrepancy, not to mention the hunk of wall that comes with it) yet I’m happy I have it. (which is probably what all headers say about every bit of useless crap they own).